Lt. Islam Bibi’s decision to become a police officer would not have raised eyebrows in the west. But signing up for such a dangerous job in southern Afghanistan turned her into a symbol of female empowerment. Under the Taliban rule, women were banned from working outside of the home. They could not receive an education after the age of 8, be treated by male doctors or ride a bicycle. Women were not allowed to drive, vote, play sports, run for public office or appear on radio or television. On the rare occasions when women were allowed to leave their homes, they were required to wear a burqa, a garment that covered them from head to toe, and be accompanied by a close male relative. Experts believe that 60 to 80 percent of Afghan marriages were arranged by force. According to a report by UN Women and the Afghanistan Independent Human Rights Commission, 56 percent of all marriages in Afghanistan occurred when the bride was under the age of 16. Domestic violence is endemic, and many women choose suicide to escape. After the overthrow of the Taliban in 2001, the Karzai administration relaxed policies concerning women’s rights. Afghanistan’s new constitution, which was adopted in 2004, also recognized the equality of men and women, yet much of the country’s male population clung to the Taliban’s ultra-conservative outlook. In the past decade, Afghan women have slowly started to emerge from the prisons that were their homes. 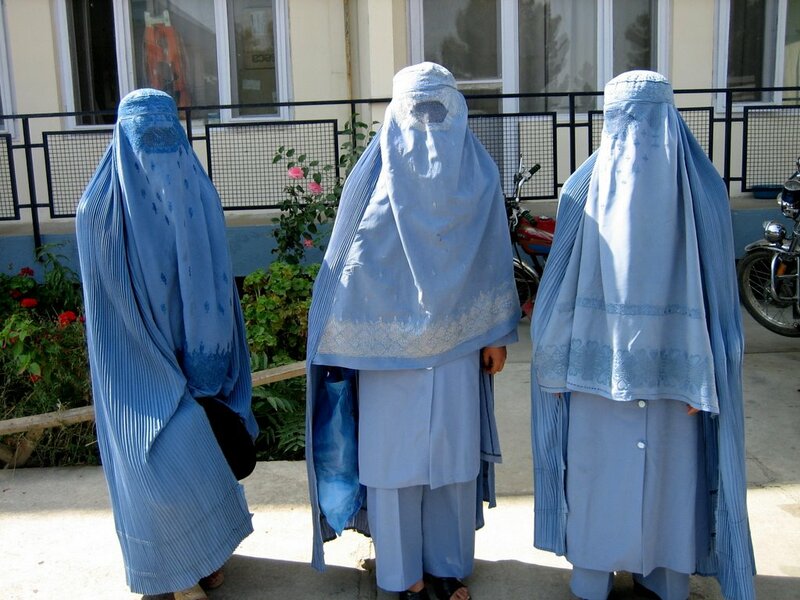 They have removed the burqa, opened small businesses and even sent their daughters to school. These actions involved a great deal of courage since the Taliban continued to wage war on them by poisoning water supplies, fire-bombing schools, killing teachers and throwing acid on female students. Bibi was one of those brave women. At 10, she was forced to marry a man who was 43. Bibi had the first of her five children when she was just 15. Then in 2004, she decided to join the Afghan National Police because she needed a salary and wanted to create a safer future for her three sons and two daughters. As a police officer, Bibi enforced security, searched passengers at the airport, trained other female officers and protected voters at polling stations. She even single-handedly stopped a would-be suicide bomber from detonating his explosives by throwing herself on top of him when he resisted arrest. Over the next nine years, Bibi rose through the ranks to become the most senior female officer serving in the Helmand province. She commanded a team of nearly three dozen female officers in the criminal investigation department in Lashkar Gah, and was often profiled in the international press as a role model. For this, Bibi was regularly intimidated by insurgents and opium smugglers, and received numerous death threats. Some of those threats came from her own family. Her brother was so hell-bent on killing her for having the temerity to work that the government eventually decided to take away his gun. On July 4, the extremists succeeded in stopping Bibi. She was riding a motorbike to work alongside her son-in-law when two gunmen opened fire. Bibi was seriously injured in the attack, and later died in the emergency room. Her son-in-law was also wounded. Costa Rican environmentalist Jairo Mora Sandoval was passionate about protecting endangered leatherback turtles and their nests. That noble work may have cost him his life. He was killed on May 31 at the age of 26. Mora Sandoval was born in Costa Rica and became an animal lover at an early age. Nicknamed “Seal,” he grew up on a farm in Mata de Limon, rode horses and helped his family care for the area’s sea turtles. As a young adult, Mora Sandoval studied biology and worked for the animal rescue group Paradero Eco-Tour. In his spare time, he volunteered for the Wider Caribbean Sea Turtle Conservation Network (WIDECAST), a nonprofit group that protects turtle nests from poachers on the country’s Caribbean coast. Leatherback turtles are the largest of living turtles, growing up to 7 feet and 2,000 pounds. While they play an important role in marine ecology by keeping jellyfish populations down, humans continue to decimate their nesting areas. Currently, the leatherback is listed as a critically endangered species whose numbers have reportedly fallen to almost one-fifth of what they were in 1980. Although sea turtles are protected by law in Costa Rica, poachers raid the animals’ nests and sell the eggs on the black market for $1 each. The eggs are often consumed in a drink as an aphrodisiac or traded for drugs. In response, members of WIDECAST patrol the beaches where these turtles lay their eggs. A few weeks before Mora Sandoval’s death, a team of journalists from La Nacion accompanied him on an overnight patrol. During the interview, he decried the government’s claims that police had been watching over the beaches. Mora Sandoval rescued 172 turtle eggs that night, but looters still managed to destroy nine nests. No police patrols were ever spotted. In recent years, conservationists have been threatened by “hueveros” (egg thieves) for trying to protect the turtles and their habitat. Mora Sandoval’s friends told the media that he received numerous death threats and was once ordered, at gunpoint, to stop patrolling. On the night of May 30, Mora Sandoval and four female volunteers were patrolling Moin beach in the Limon province, an area that is frequently used by drug traffickers and turtle egg poachers. The group was ambushed by five armed and masked men, who kidnapped and robbed the women. They later escaped from their attackers and contacted police. Mora Sandoval’s naked body was found face-down on a beach the next morning. According to WIDECAST director Didiher Chacon, Mora Sandoval was bound and beaten. Autopsy results listed cause of death as asphyxiation and blunt force trauma to the head. Since Mora Sandoval’s slaying, WIDECAST has been forced to cancel all patrols at Moin beach, leaving the sea turtle population particularly vulnerable. Environmentalists have submitted a proposal to the government asking for park rangers to have more authority to stop poachers and for the designation of a new protected area to be named after Mora Sandoval. Conservation groups have also offered a $10,000 reward for information leading to the arrest and conviction of his killers.